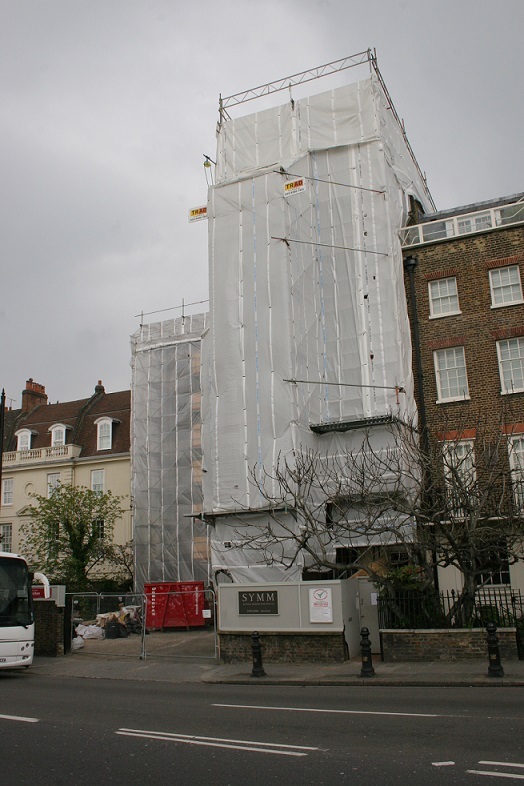 TRAD are currently working alongside SYMM on the major redevelopment of this 1670 Grade II listed mansion & Grade II listed Georgian townhouse. 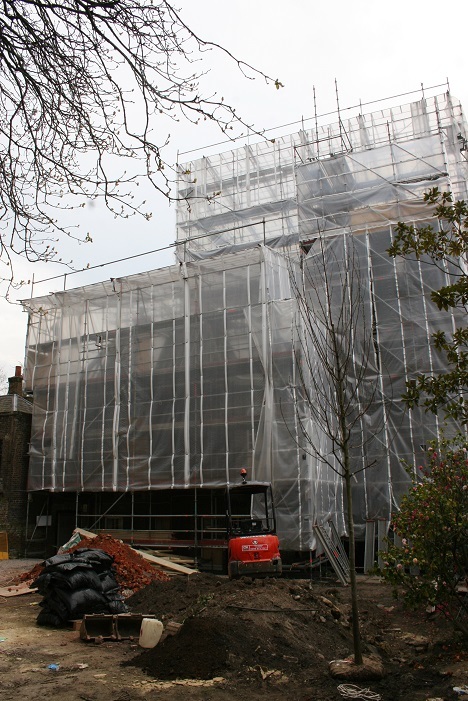 The works involved major building re-configuration which required a broad scale of scaffolding. 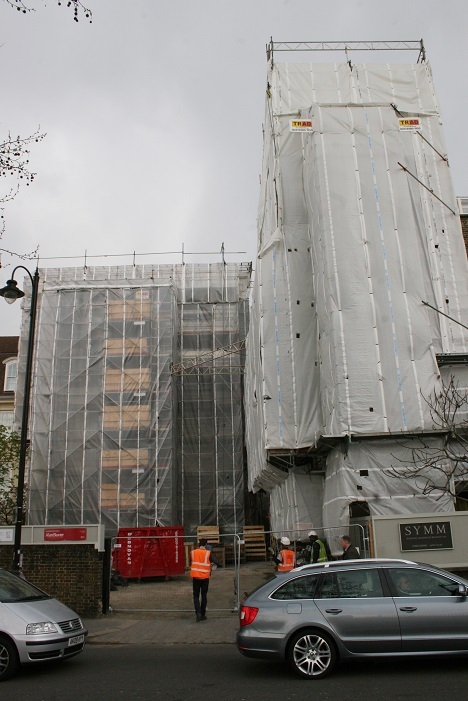 Due to the building being listed and with its age TRAD were unable to anchor the scaffold conventionally, all scaffold is secured by heavy duty buttresses and kentledge on all flanks. 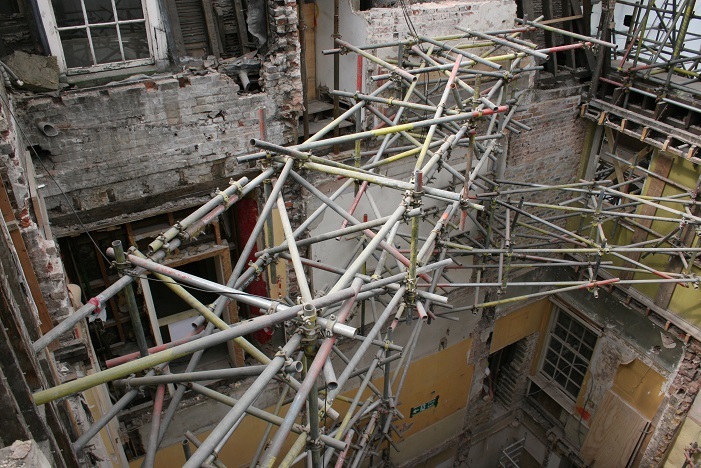 There has been an extensive amount of shoring works installed by TRAD to ensure the building remains stable and secure whilst demolition and building works are on-going. TRAD installed a temporary roof to cover both properties the largest being over a 20m span. TRAD have used system scaffold on this project and SYMM are pleased with the efficiency of any adaptions that they may require.